Squamish, are you ready for your closeup? 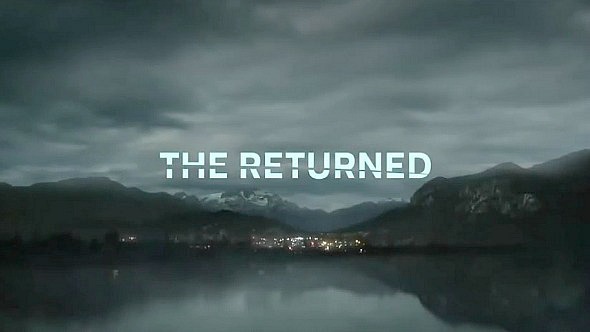 A&E’s American adaption of acclaimed French series The Returned premieres tonight after Bates Motel, with Squamish playing the Cascades Mountains town where a group of people return to their homes, only to discover they have been dead for several years and no one is expecting them to show up. One of the first to return to Caldwell County, Washington, is 16-year-old Camille (India Ennenga) who died in a school bus accident four years earlier. She comes back looking exactly the same and with no memory of where she’s been, shocking her now separated parents, Jack (Mark Pellegrino) and Claire (Tandi Wright), as well as her now aged identical twin sister Lena (Sophie Lowe), who refuses to acknowledge her re-appearance. Another of the Returned is Simon (Mat Vairo), a musician who comes back to Caldwell County, Washington, 10 years after his death, only to discover his girlfriend Rowan (Mary Elizabeth Winstead) has moved on and is about to marry. 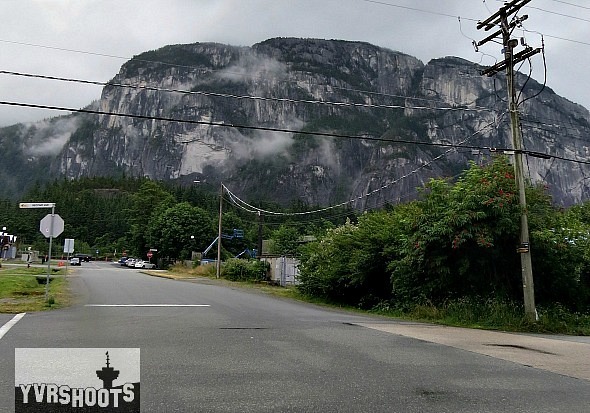 Related: The Returned Films Simon (Mat Vairo) Returning in Squamish. Peter (Jeremy Sisto) runs a support group for people grieving over the death of those they love. Other cast: Sandrine Holt, Agnes Bruckner, Kevin Alejandro, Aaron Douglas, Dakota Guppy, Leah Gibson, Michelle Forbes, Rhys Ward, Scott Hylands, Terry Chen and Roger Cross. 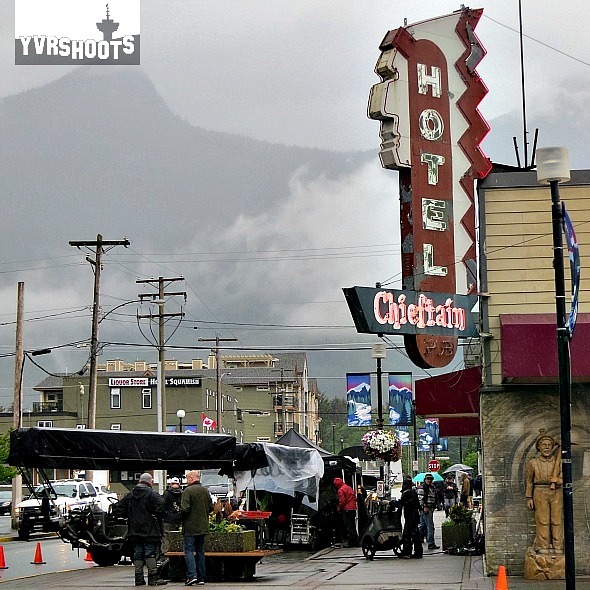 The Returned filmed its ten episodes on and off in Squamish for four months last summer and fall with most of the action centred around the historic Chieftain Hotel on Cleveland Avenue. Related: The Returned Films in Downtown Squamish. 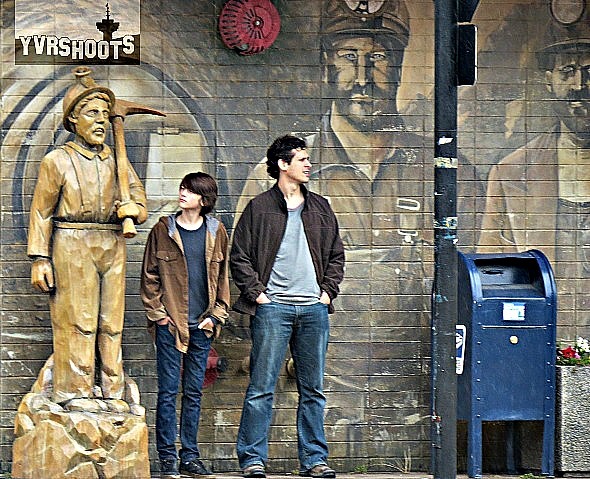 Local artist Patrick Spavor painted the mining murals on the Chieftain Hotel for the series, according to the Squamish Chief. The Returned premieres tonight on A&E in the U.S. and Canada after Bates Motel. And can be streamed on Netflix 24 hours later outside of North America. What is the Dam called in real life? And the location? Cleveland dam on Capilano lake, North Vancouver. Does anyone know where that tunnel in the show is? Furry Creek maybe? are you sure? It looks like the pedestrian underpass on 8th Avenue, New Westminster. Why is the Cheiftan Hotel “ironic”? Missed this. Either a typo or auto-correct changed iconic to ironic. Fixed it with historic. I love the house where Camille lives. 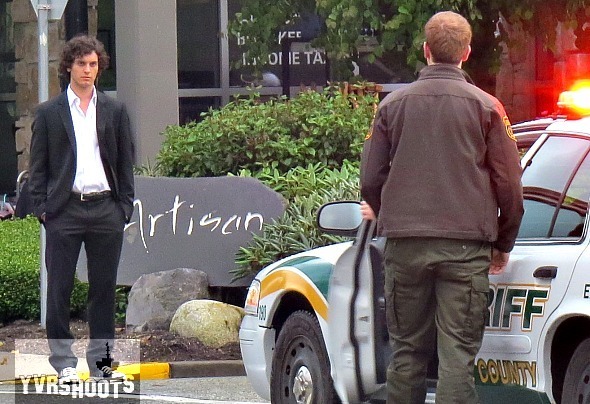 Is that also in north Vancouver? Did you ever find more pictures of that house. I adore it and want to know who built it. Please help . Where is the lake that Peter and Claire’s flashback photography scene happened?? ?